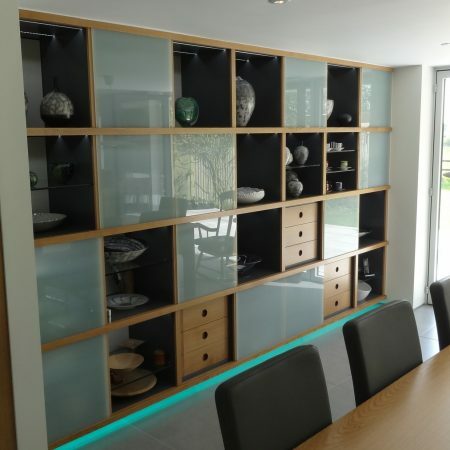 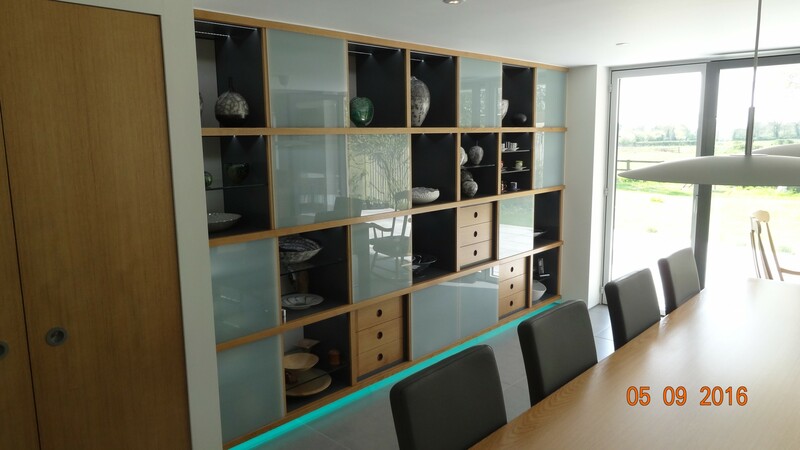 Feature wall floor to ceiling display unit. 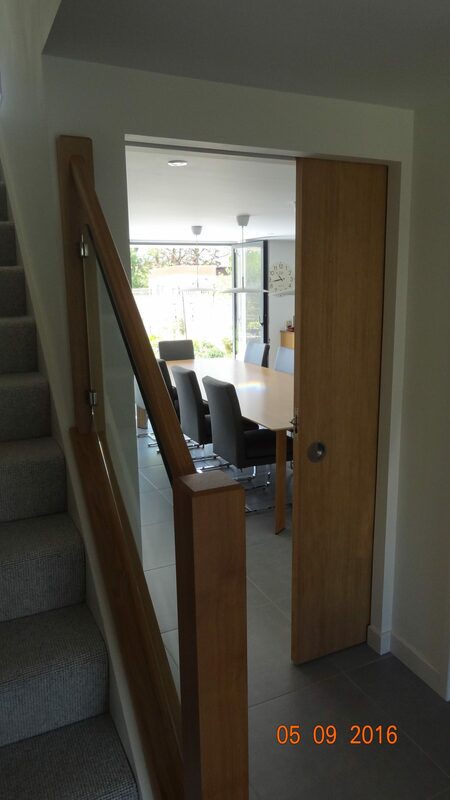 Fully finished medium density fibreboard carcass, with grooved oak facings, to take obscured glass doors. 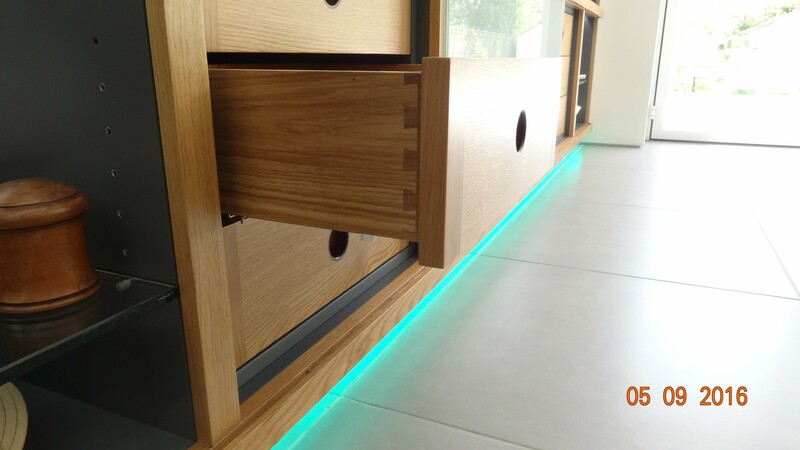 Comprises of three solid oak drawer units, with wenge in-laid finger pulls and oak dovetail drawer boxes. 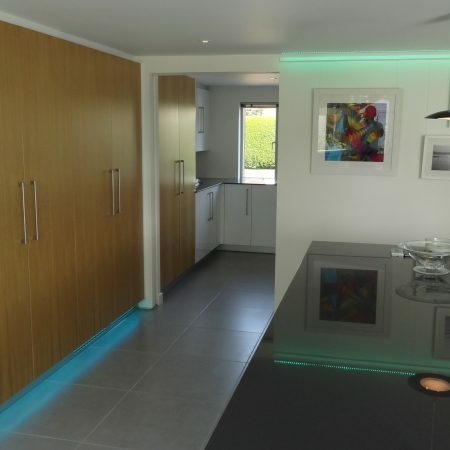 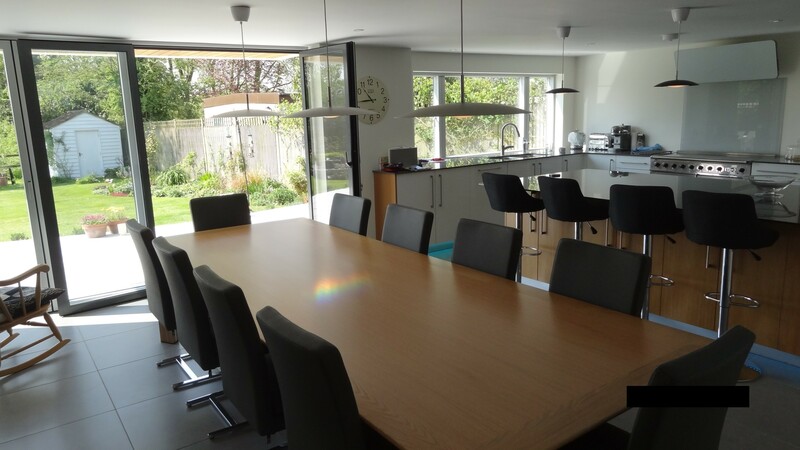 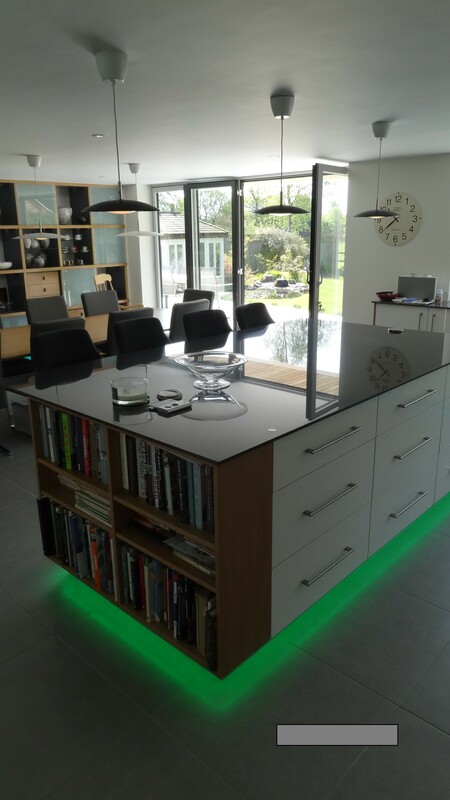 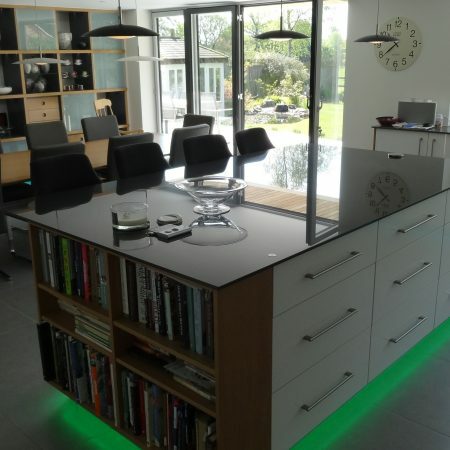 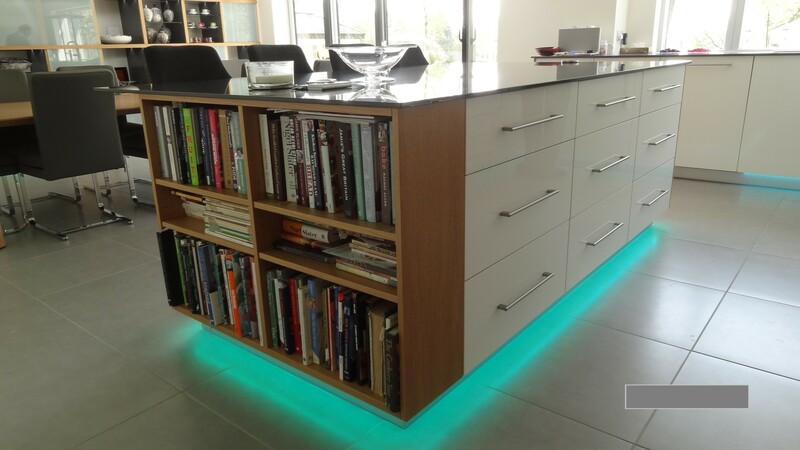 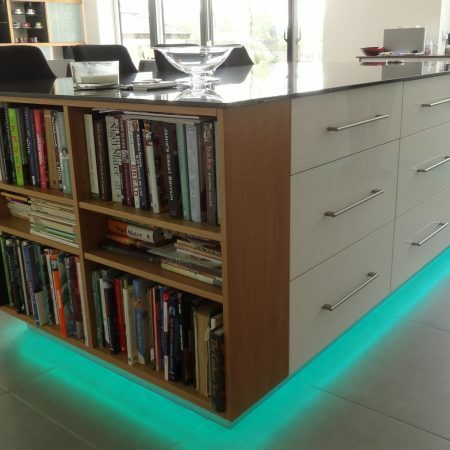 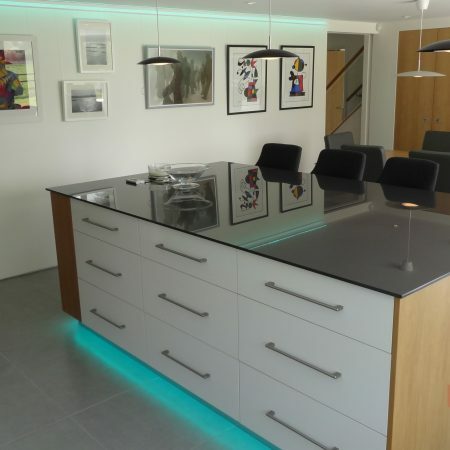 Complete with optional colour changing concealed lighting. 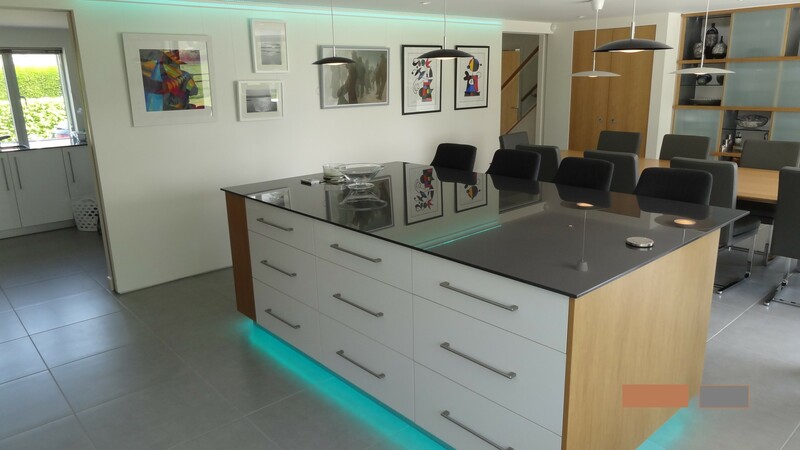 Large island unit in a mixture of melamine faced chipboard and oak veneered carcasses, with white deco gloss fronts and stainless steel ‘D’ handles and 12mm Lapitec dark grey worktops. 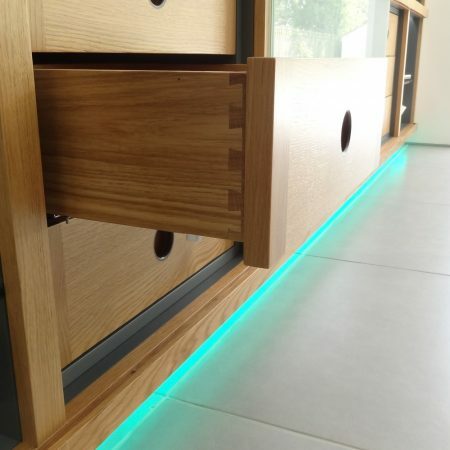 Open bookcase to one end. 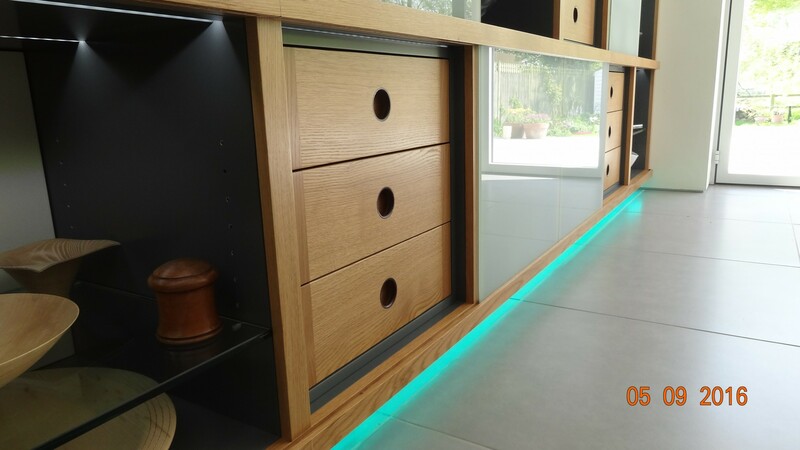 Pop up stainless steel sockets. 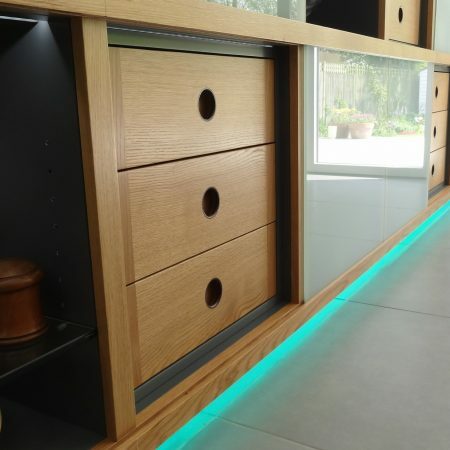 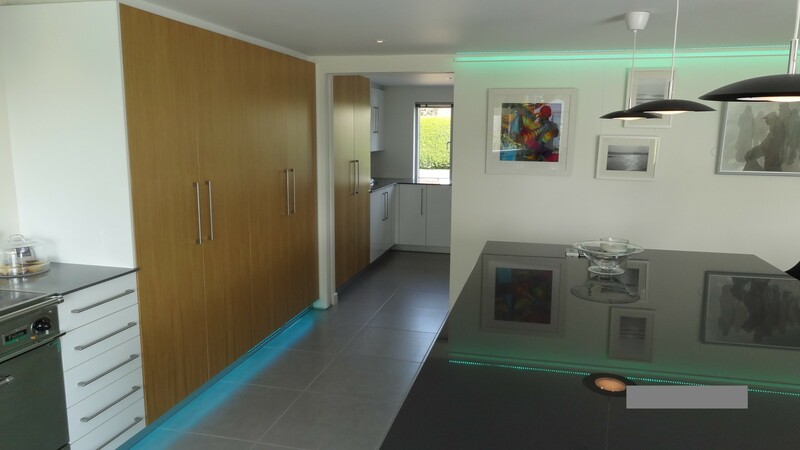 Concealed lighting with a choice of funky colours! 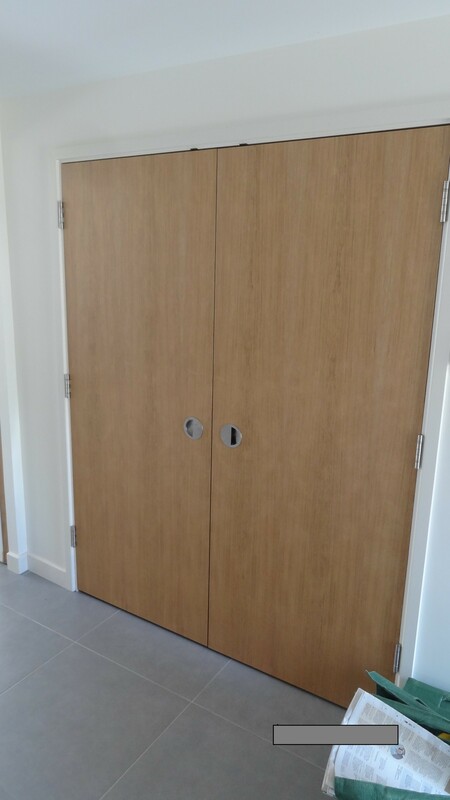 Pair of oak veneered hallway cupboard doors with inlaid finger pulls. 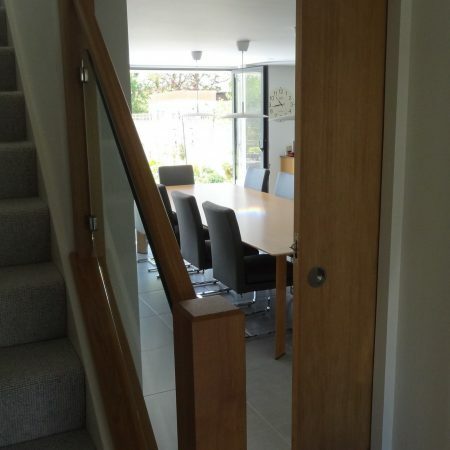 Oak newel and glass balustrade. 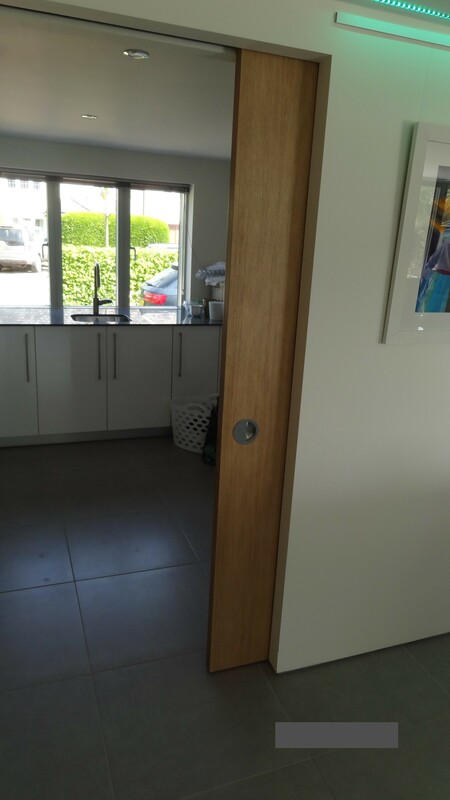 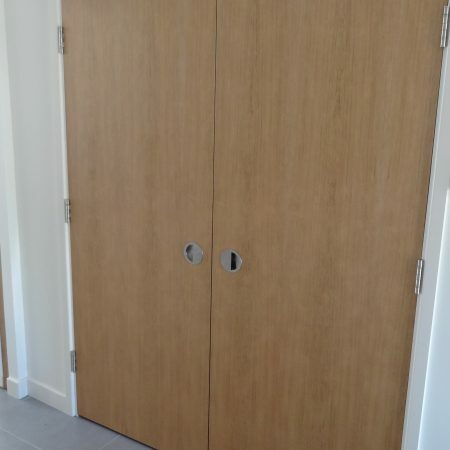 Oak pocket door (sliding). 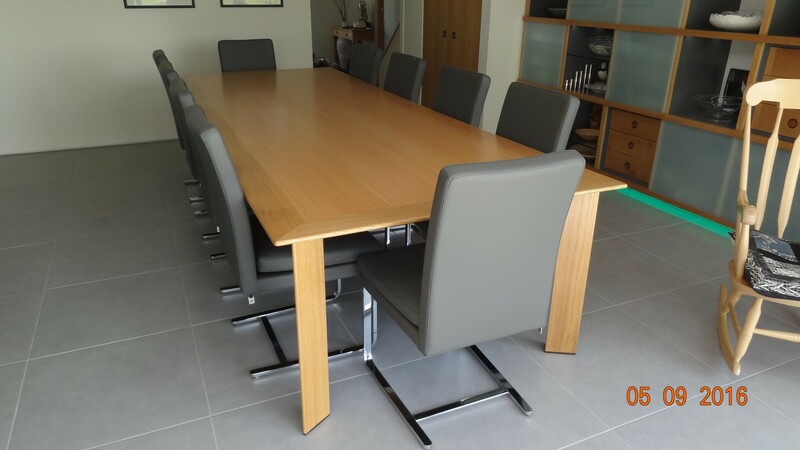 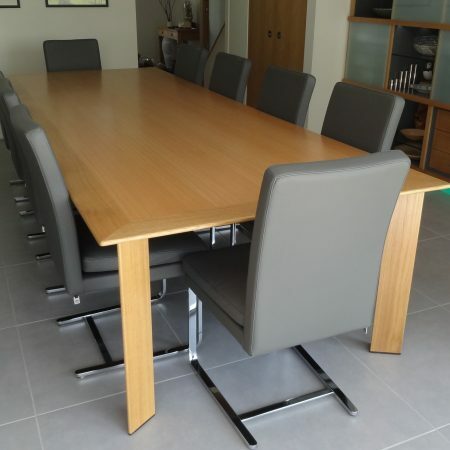 10 seater oak table with wenge detail and triangular shaped legs. 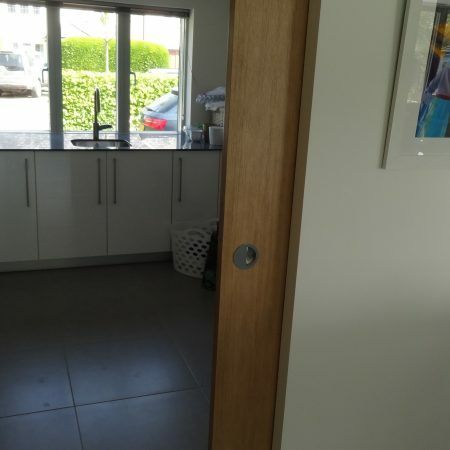 Utility room leading off the kitchen via pocket (sliding) oak door. 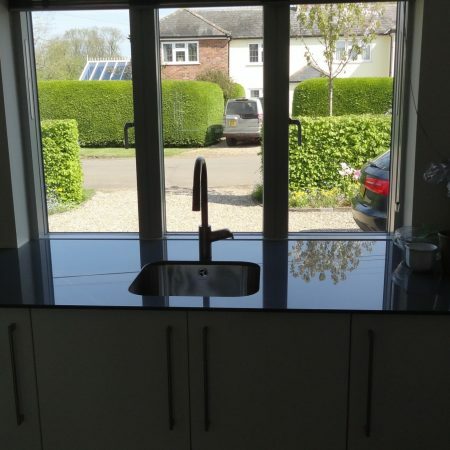 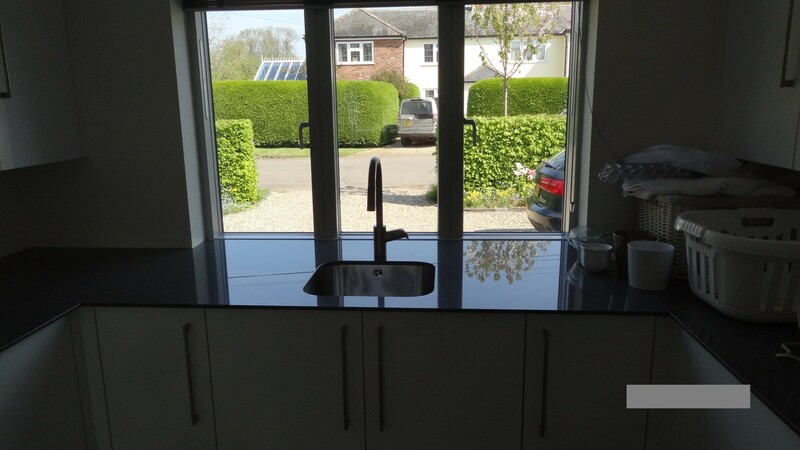 Grey Lapitec worktops, under-mounted stainless steel sink, white deco gloss unit doors with stainless handles. 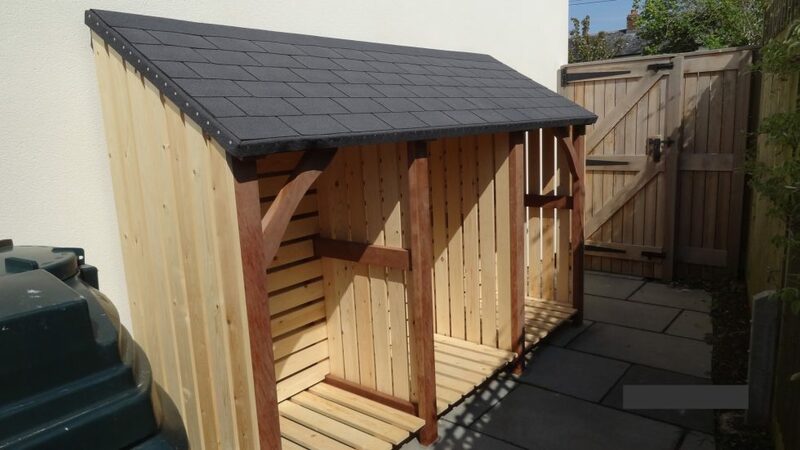 External log store made from massaranduba and treated softwood with felt shingle roof.